There’s construction on the horizon, but this wetland is protected in the middle of Benton Woods. 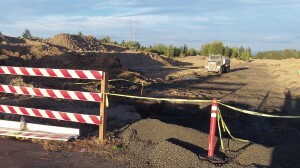 New streets are under construction north of the protected wetland. 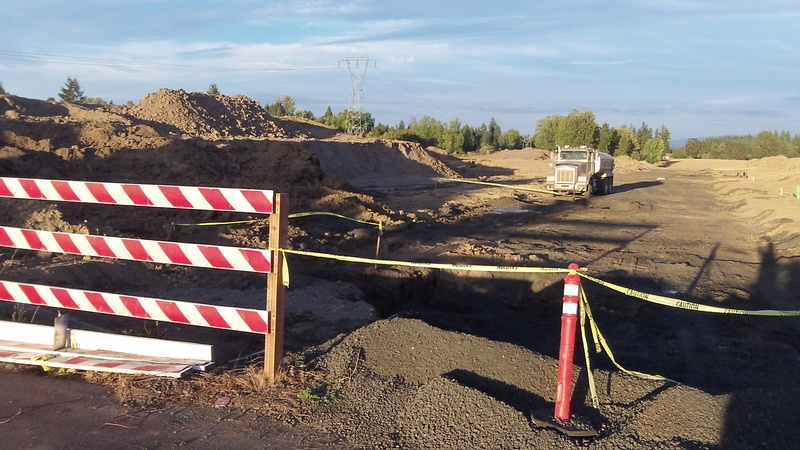 If you want to see a proper job of wetlands protection, take a look at what’s going on in the Benton Woods subdivision and housing development in North Albany. The city of Albany approved the planned development in 2006. The plan calls for 257 lots north of Dover Avenue and east of Scenic Drive. Scores of houses have been built, and dozens more are going up now. In 2007 the builder, D.R. 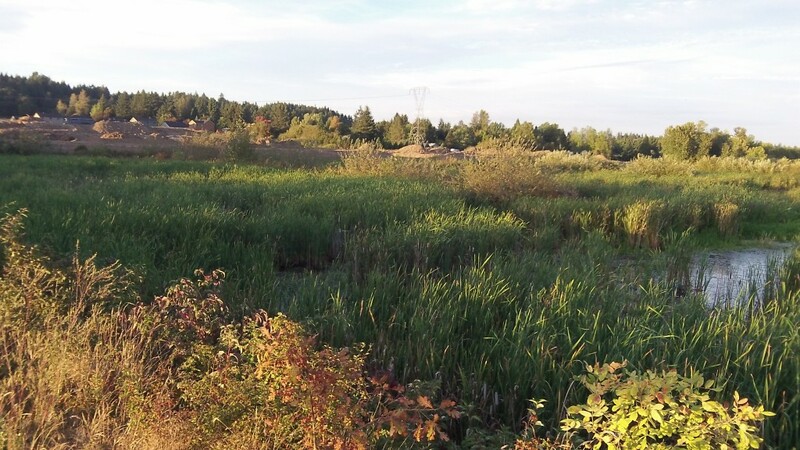 Horton, purchased credits in a wetlands bank west of Eugene for the loss of 2.5 acres of wetlands. But this spring the company got a removal and fill permit from the Department of State Lands that requires the creation and perpetual maintenance of about 9 acres of wetlands right in the development. More than six acres of this is real wetland, meaning there is standing water even this time of year, along with the kinds of water plants that provide habitat for birds and other wildlife. It looks like a swamp. It wouldn’t be surprising if there were some turtles and other amphibians, too, in this wild acreage amid all the houses.